CHASING POWER Comes Out Today! I am thrilled to announce the release of my new book, CHASING POWER!!! CHASING POWER is a fantasy novel for young adults, published by Bloomsbury. It's about Kayla, a sixteen-year-old girl who can move things with her mind, and Daniel, a boy who can teleport across continents and who lies as easily as he travels. Together, they embark on an Indiana-Jones-style adventure to find and steal an ancient incantation, written on three indestructible stones and hidden millennia ago, all to rescue Daniel's kidnapped mother. But Kayla has no idea that this rescue mission will lead back to her own family, and to betrayals that she may not be able to forgive... or survive. The idea for this book came from one of those questions that you ask your friends late at night after you've finished dissecting everyone's personal lives, speculating on the future of various relationships, and musing over the awesomeness of avocados. Namely: "If you could have any superpower, what would you choose?" My answer for years has been telekinesis. At a very formative age, I saw "Escape to Witch Mountain" and loved everything about it, including its cheesy special effects, overacting adults, and harmonica solos. I also read (and reread and reread...) the wonderful book THE GIRL WITH THE SILVER EYES by Willo Davis Roberts. So telekinesis has been on the list of awesome-things-I-want-to-write-about for a very long time. But the novel wasn't truly born until I decided to give my girl very, very limited powers. Kayla can't toss around cars or planes like Jean Grey. She can't lift an X-wing fighter out of a swamp. She can lift things about the size and weight of a credit card. Maybe a pencil. So she has to be clever and use her power creatively, if she's going to survive. I had so much fun writing this book. It was an adventure that took me around the world (not literally, of course -- in real life, I stayed nicely close to my refrigerator), up mountains and into catacombs and as close as I'll ever get to a lava lake. Writing it felt like hanging out with very cool friends, the kind of friends who always make you laugh and who always share the salsa. I hope you have fun reading it! And if you're in the NYC area, I'll be signing copies of CHASING POWER this Friday (10/17/14) at 6pm at Books of Wonder. I hope you'll come and say hi! More about CHASING POWER, including the first two chapters, can be found here. Congratulations to Chasing Power Giveaway Winner! Thank you to everyone who entered the CHASING POWER giveaway! The winner is: Erin P. Congratulations! Also to cheer you up... CHASING POWER comes out on Tuesday!!!!!!! My new YA novel CHASING POWER comes out from Bloomsbury in exactly one week!!!!!!!!!! 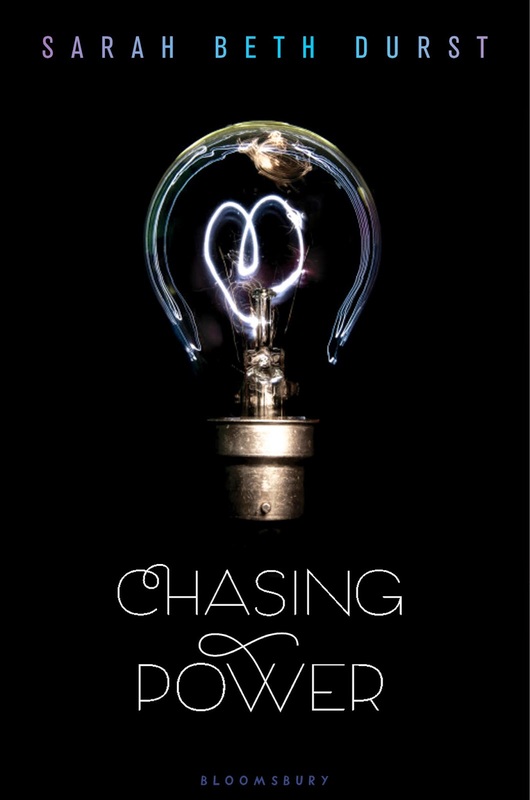 CHASING POWER is the story of Kayla, a sixteen-year-old girl who can move things with her mind, and Daniel, a boy who can teleport across continents and who lies as easily as he travels. Together, they embark on an Indiana-Jones-style adventure to find and steal an ancient incantation, written on three indestructible stones and hidden millennia ago, all to rescue Daniel's kidnapped mother. But Kayla has no idea that this rescue mission will lead back to her own family, and to betrayals that she may not be able to forgive... or survive. Click here to read the first two chapters. Thank you to everyone who participated in the YA Scavenger Hunt! I hope you had fun! A special thank you to everyone who entered my CHASING POWER giveaway! I loved reading all the comments. The winner of a signed copy of CHASING POWER is: Katrina T. Congratulations! For those of you who didn't win... I will be hosting another giveaway here tomorrow! And then CHASING POWER comes out a week from tomorrow (Tuesday 10/14/14). Other YA Scavenger Hunt winners, including the grand prize winners, will be posted by 5pm today (Monday 10/6/14) on the YASH blog. Welcome to the fall 2014 YA Scavenger Hunt! I'm Sarah Beth Durst, your host for this leg of the hunt. I'm the author of nine fantasy novels for children, teens, and adults, including CONJURED, VESSEL, and ICE. My next YA novel, CHASING POWER, is coming out in a week and a half (!!!) from Bloomsbury, and my next middle-grade novel, THE GIRL WHO COULD NOT DREAM, is coming out in fall 2015 from HMH/Clarion Books. - I have ridiculously curly hair that once trapped a yellow-jacket and has been known to swallow bobby pins whole. - I don't have a pet dragon but wish I did. Ditto magic wand, unicorn, or any superpower (other than hair that won't straighten even when completely soaked). - If I could have any power (and assuming that I couldn't choose to cure diseases or feed everyone in the world), I'd want telekinesis. - I'm afraid of skunks and Frisbees. - My favorite number (which you need to know to win this scavenger hunt!) is the answer to life, the universe, and everything. I'm thrilled to be participating in the hunt this year! 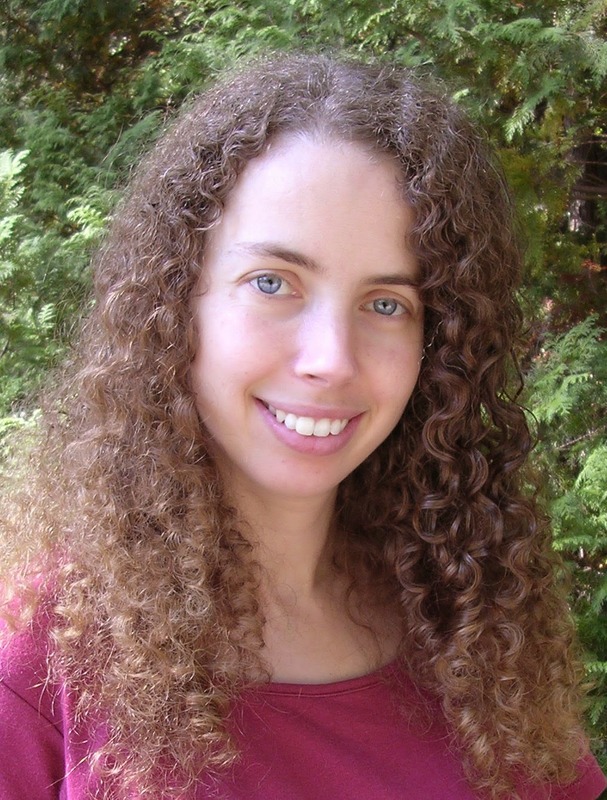 The YA Scavenger Hunt is a biannual event started by author Colleen Houck. This fall, 125 YA authors are participating (including yours truly). On this hunt, you will have access to exclusive bonus material from each of the participating authors, plus every author will also include their favorite number. (If you missed the hint above, mine is 42 and has been every since I read The Hitchhiker's Guide to the Galaxy at a highly impressionable age.) Add up all the secret numbers, and you can enter for the grand prize: one signed book from each author in a team. But play fast: this contest will only be online for 72 hours! You can start right here on this blog post, or you can go to the YA Scavenger Hunt page to find out all about the hunt, including links to all the authors participating. (There's also a handy "How to Hunt" page.) This year, there are six contests going on simultaneously, and you can enter one or all. 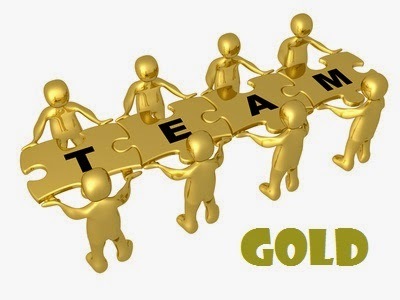 I am a part of the Gold Team. You can also win individual giveaways on some legs of the hunt, including this one! Scroll down to enter to win a signed copy of CHASING POWER. Directions: Collect the favorite numbers of all the authors on the gold team, and then add them up. Entry Form: Once you've added up all the numbers, fill out the form here to officially qualify for the grand prize. Only entries that have the correct number will qualify. Rules: Open internationally, anyone below the age of 18 should have a parent or guardian's permission to enter. To be eligible for the grand prize, you must submit the completed entry form by Sunday, Oct 5th, at noon Pacific Time. Entries sent without the correct number or without contact information will not be considered. When the FEA's efforts to rescue Holly don’t yield any results, Tessa takes matters into her own hands. Desperate to save her friend and uncover the mystery behind Abel’s Army, Tessa launches her own investigation—but nothing could prepare her for what she finds. Everyone in her life is harboring secrets: Alec, her estranged mother, even the father she never knew. The truth will take her out on the road and out of her comfort zone, with danger lurking everywhere. Summoning all of her courage and strength, Tessa must decide who can be trusted and what is worth fighting for -- even if it means going against the life she thought she wanted. Her final decision will leave readers breathless. For more information, visit Susanne's website or blog. 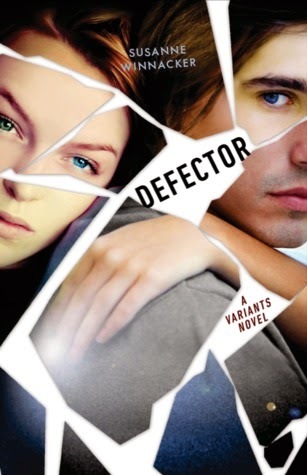 And you can learn more about DEFECTOR here. 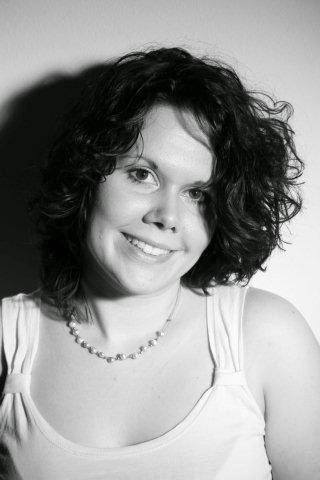 To keep going on your quest for the hunt, you need to check out the next author, Rebekah L. Purdy. And when you've finished visiting all the Gold Team authors, add up all our favorite numbers (again, mine is 42) to find the secret code to enter for the grand prize.